On Saturday, the Parts Store is open from 8am-2pm, the Repair Shop is CLOSED. Cole's CARQUEST Auto Parts and Servicenter Offers Auto Repair Services You Can Count On! Cole's CarQuest Auto Parts and Service Center in Munford has been the place to go for auto parts and auto repairs for the past 42 years. Owner Dwayne Cole started working in the automotive parts business in the mid-1970's. It was a difficult economic time, but he gained valuable experience working in Memphis learning the auto parts business. When Cole was 20 years old, he made the decision to open his own store. "My youthful exuberance sparked my yearning to open my own store," said Dwayne Cole. Since opening in 1975, Cole's CarQuest has been a mainstay in Munford. The store remained at its original location for 12 years. Then, in 1987, Cole decided to move to the location at 1308 Munford Avenue in Munford and has been there ever since. They are now celebrating their 41st year in business. "We are thankful to the Lord for His grace throughout the years," Cole said. At Cole's CarQuest, they offer a full line of auto parts for cars, trucks and heavy duty vehicles. They make and repair hydraulic hoses, and have overnight availability on hard to find parts. Cole's CarQuest also offers complete auto service and repairs that include 4x4 Services, Batteries, Brakes, Car & Truck Care, Counter Services, Domestic Cars & Trucks, Electrical Services, Electronic Services, Engine & Transmission, Engine Maintenance, General Services, Heating and Cooling Services, Hoses, Import Cars & Trucks, Transmission Services and Undercar Services. 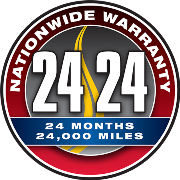 They perform regular maintenance and a variety of repairs to keep you on the road. "We can assist you in doing it yourself or we can do it for you," said Cole. At Cole's CarQuest, they offer quality products at fair prices. The staff possesses over 100 years of experience with extensive knowledge of their products and automotive systems. You'll be hard-pressed to find the same level of expertise that our auto mechanic specialists provide! We work on both domestic and import vehicles of all makes and models and can work with you to find cost-effective repair and maintenance alternatives. For a high-performing vehicle, trust Cole's CARQUEST Auto Parts and Servicenter with your car, truck, or van. To learn more about the services we offer, please contact us by phone at 901-837-0121 or send us an email. We also invite you to learn more about our dedication to you, our valued customer.